This is so wonderful. Hikaru Davis is the son of the late session drummer, Dennis Davis, who died in 2016. Among many others, Davis played with Stevie Wonder, George Benson, Roy Ayers, and Iggy Pop. But he is most famously remembered as one of David Bowie's drummers, playing on Bowie's 70s records, from Young Americans to Scary Monsters. When Davis died, his son, then ten (now 13) decided that he wanted to know more about his father and what made him a great drummer by interviewing friends and fellow musicians who'd worked with his dad. The result is HD Projects, a YouTube channel presenting these interview videos as they're finished. 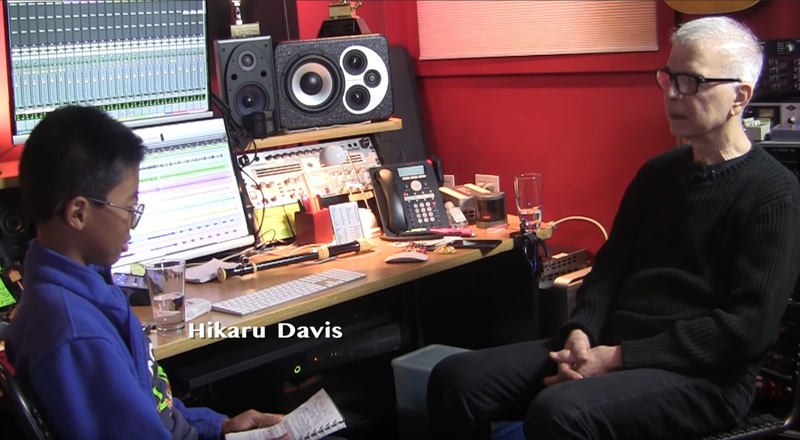 In the most recent upload, Hikaru interviews producer and longtime Bowie collaborator, Tony Visconti. In the video, Tony breaks down Davis' drumming on Bowie's Lodger track, "Look Back in Anger." After a while, I started looking at social media to see what people were saying about my father. And I saw an article in Rolling Stone Magazine about Dad’s death. That’s when I saw Mr. Tony Visconti’s name for the first time. To be honest, I didn't know much about my father’s career when he was alive. Dennis Davis was my dad. I used to go to his gigs with him, and watch him set up his drums and play. But wow, Rolling Stone? I know that magazine! And Mr. Visconti wrote such nice things about my father. Watch additional interviews with Sterling Campbell, Roy Ayers, Carlos Alomar, and others on Hikaru's channel.